First house number in Queens! Shockingly, I was the only tourist around snapping photos of this sign at the corner of Park Lane South and 85th Street. I guess everyone else must have been attending that zip code symposium in the Bronx or something. 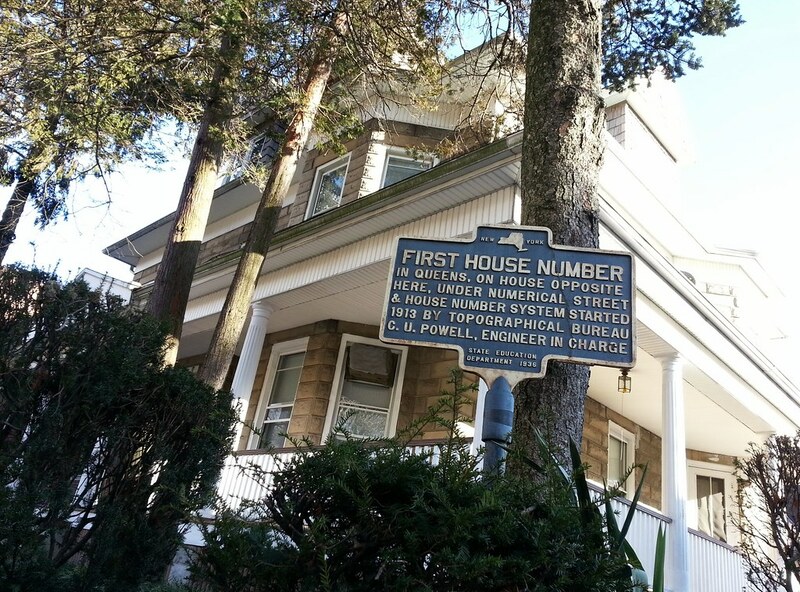 Queens's "vexing vortex" of street and hyphenated house numbers is the result of an attempt to create order out of the chaos that ensued when the borough was created in 1898, encompassing dozens of formerly independent villages. Each village had its own set of street names and addresses — there were more than 30 different Washington Streets and Avenues, for example — and this made for quite a confusing mess once they were all thrown together into the same municipality. What would happen in an American city of the size of Boston, if the authorities should pass an ordinance changing the names of most of the streets and assigning new numbers to all of the houses? It would, perhaps, precipitate a riot, or even necessitate a special act of the legislature to put the new system into effect; and yet such a change was actually brought about in the borough of Queens, which contains a population larger than that of Boston, and covers nearly as much land as does the city of Philadelphia. Upon the west and south of street. While driving around Queens my mnemonic is that avenues and streets run in the opposite direction of Manhattan avenues and streets. Though in both boroughs the streets are so skewed from a true north/south that it may all be moot.